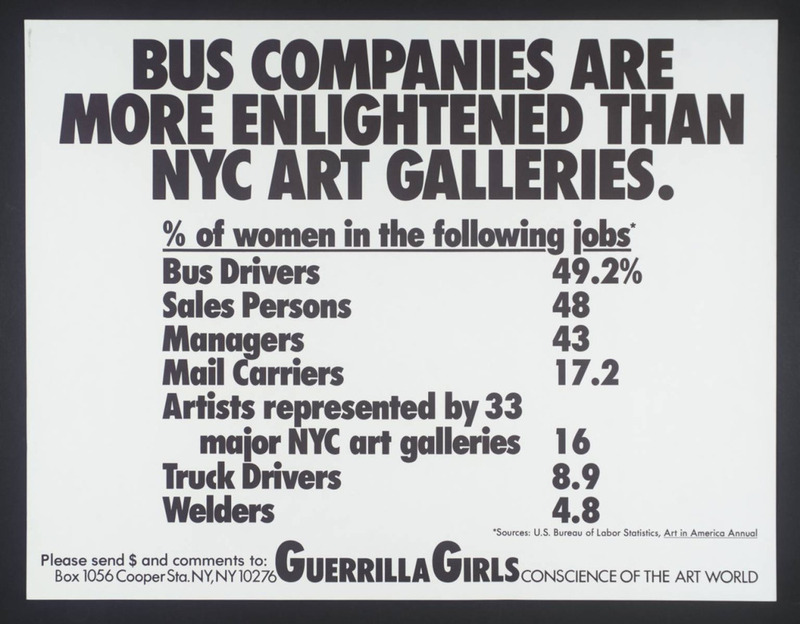 Since their inception in 1984 the Guerrilla Girls have been working to expose sexual and racial discrimination in the art world, particularly in New York, and in the wider cultural arena. The group’s members protect their identities by wearing gorilla masks in public and by assuming pseudonyms taken from such deceased famous female figures as the writer Gertrude Stein (1874-1946) and the artist Frida Kahlo (1907-54). They formed in response to the International Survey of Painting and Sculpture held in 1984 at the Museum of Modern Art, New York. The exhibition included the work of 169 artists, less than 10% of whom were women.